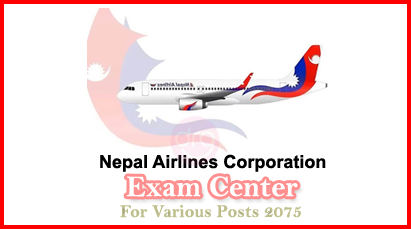 Nepal Airlines Corporation publishes the Written Examination notice of Exam Center for Various Posts 2075. 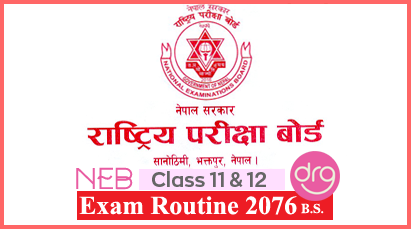 On 22 Chaitra, 2074 [5 April, 2018], Nepal Airlines Corporation, Human Resource Department publishes the Examination Center Notice for the upcoming written examination to select candidates in various posts. The examination will be conducted by Lok Sewa Aayog (Public Service Commission Nepal [PSC]). Should you have any queries/questions regarding the exam center for various posts Nepal Airlines Corporation 2075, then please feel free to CONTACT ME or you may drop your comment in below comment box. 0 Response to "Exam Center Notice Of Written Examination For Various Posts | Nepal Airlines Corporation"